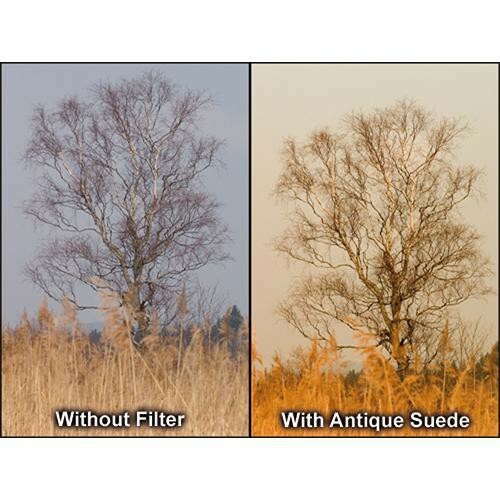 The Series 9 Blender Antique Suede 3 Filter from Formatt resembles a traditional graduated filter except that it is colored on top with a gradual transition to more subtle at the bottom. Graduated filters transition somewhere in the middle of the filter whereas Blenders transition over the entire length of the filter. This filter adds a greenish/brown warming tint to your image that is reminiscent of the earliest days of photography. A Blender Antique Suede 3 filter is the strongest version of this filter. The antique effect is maximized and will create a truly dramatic sense of style.